I was in the mood to bake. I went to Pinterest to search for cookie recipes. This recipe, care of High Heels and Grills, made the chewiest cookies. They are not too sweet and I definitely plan to use the dough recipe with other kinds of flavoring and toppings in the future. I used about 14 tablespoons of Earth Balance Original Buttery Spread instead of salted butter and baked the cookies a little longer than suggested in the original recipe. I think the secret to baking cookies is always taking them out of the oven when they appear golden but still a little mushy in the center and then allowing them to sit on the pan till they deflate and cool a bit. In my experience, this always results in a chewier, softer cookie. This recipe yielded 40 cookies, which according to my calculations, are about 100 calories per cookie. This was not a difficult recipe to follow and the cookies are delicious. Shape dough into 1 3/4 inch balls and roll the balls in the cinnamon sugar. 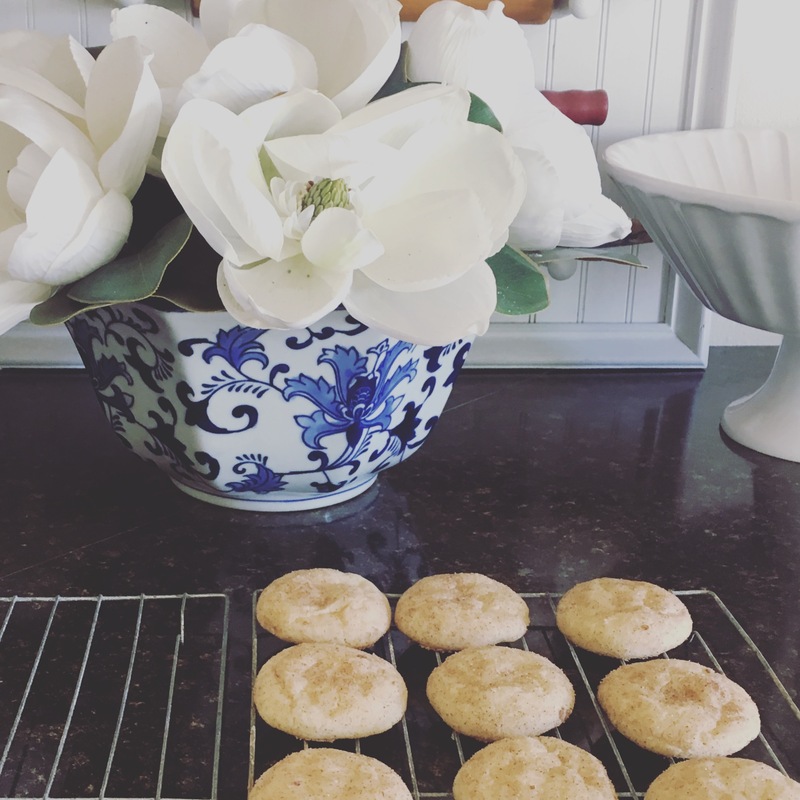 We just put up a snicker-doodle recipe too!! I will buy some cream of tartar and try your recipe next!